2.3 UAH/t. 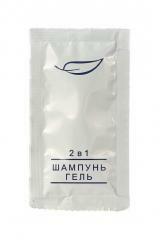 - from 300 t.
Unbelievable price on Hotel fancy goods and mini perfumes in Kiev (Ukraine) company Gotel-Servis, OOO. Wide choice of quality products at affordable prices.